Give curling a try and see if it’s as easy as it looks on TV. We’ll teach you how to throw a stone and sweep it into the house. 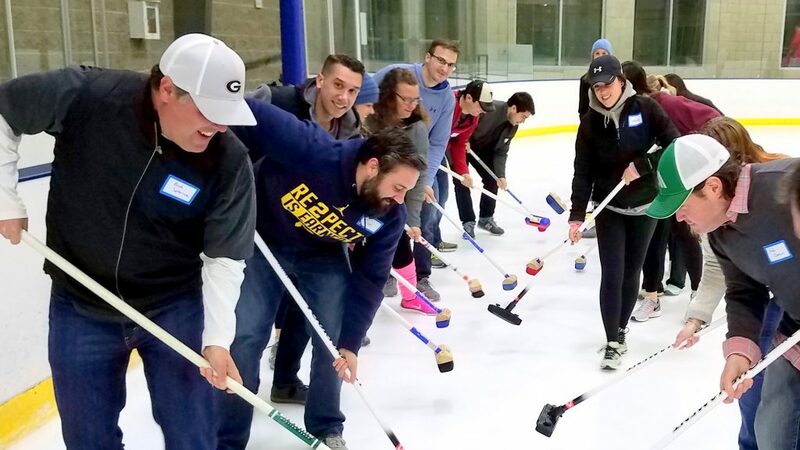 You’ll learn how scoring works, what’s the point of sweeping, and you’ll have the opportunity to join the beginner league at a discounted rate or come back and play a 2-hour game for free! All equipment is provided and all you need is loose fitting clothing and sneakers. Curling adapts easily for anyone with mobility issues. We play at Center Ice Arena at the top end of 285 and Roswell RD, just inside the perimeter. 5750 Roswell RD, Sandy Springs, GA 30342. Class check-in time is 10 minutes before your selected start time. For more information, visit the New? Start Here! page. Pay once, play twice! 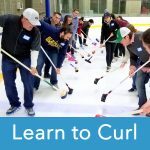 Register today and after completing the learn-to-curl class you get to join your first league at a discounted rate or play another game for free (scroll down for the form). League has a 100% money-back guarantee and is designed for brand new and experienced players. Friday, April 19, 2019 @ Center Ice Arena - 7:30 PM. Please arrive 10 minutes early for check-in. Friday, April 26, 2019 @ Center Ice Arena - 7:30 PM. Please arrive 10 minutes early for check-in. If you’ve graduated from a Learn-to-Curl class and are ready to cash in your free game token, sign up below. Available spots are based on the number of substitutes needed for the week of league. Ready to cash in your free game from a learn to curl class? Social Membership Member? Simply fill out the form below and we'll be in touch. Just one of the many dedicated volunteers at the Atlanta Curling Club. Southern Lightspiel – Registration Open! Learn to Curl classes full? Want to join our next brewery tour? Sign up and be the first to know about new classes, off-ice events and more! No spam. Generally 1 email per month. Unsubscribe anytime. We are open and curing this Friday night! Events are posted in the warmroom on Slack. 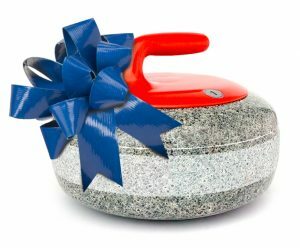 Email ATLcurling@gmail.com for the link. 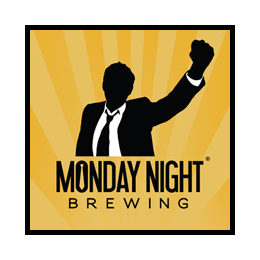 Monday Night Brewing is the official brewery of the Atlanta Curling Club for the 2018 – 2019 season. Every week at broomstacking we’ll have a cooler full of their beer for you to try, or you can swing by one of their breweries for a pint or tour. Gift Certificates are now available in the store! Atlanta Curling Club Copyright © 2019.